Easter morning came real quick! We made the girls wait another 45 minutes (they woke up at 5:50ish) so Corom and I hurried and got ready for church. We wanted to let Z (our foreign exchange student) sleep as long as possible. I also felt a little mean for letting the girls believe the Easter bunny didn’t leave anything for them. 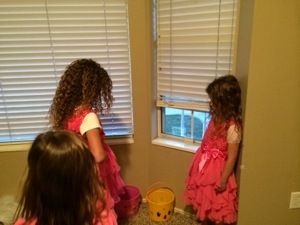 The girls were so sad… The 2 older ones walked back to their rooms and said they wanted to go back to bed. 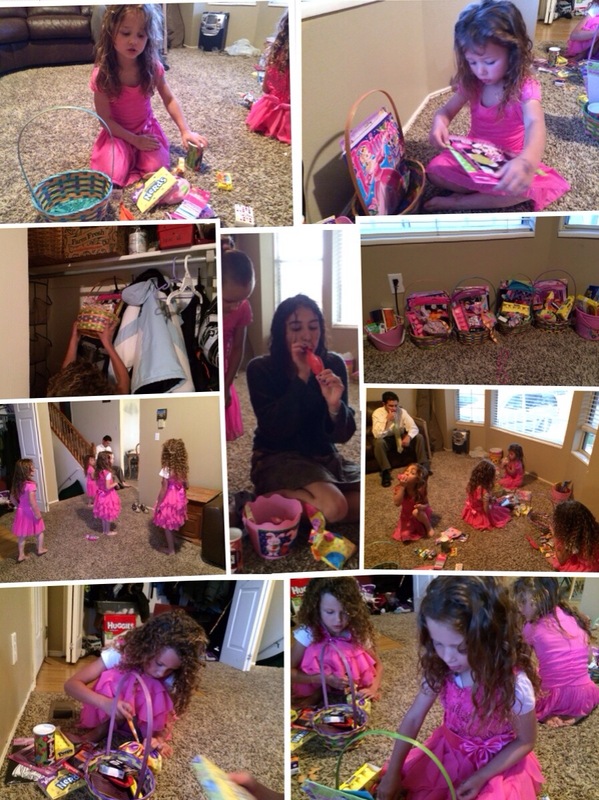 I had to let them know before they began to cry so I said oh you have to go find your new baskets… All my girls ran back downstairs with more energy and excitement than before… They found their baskets and had fun going through them. 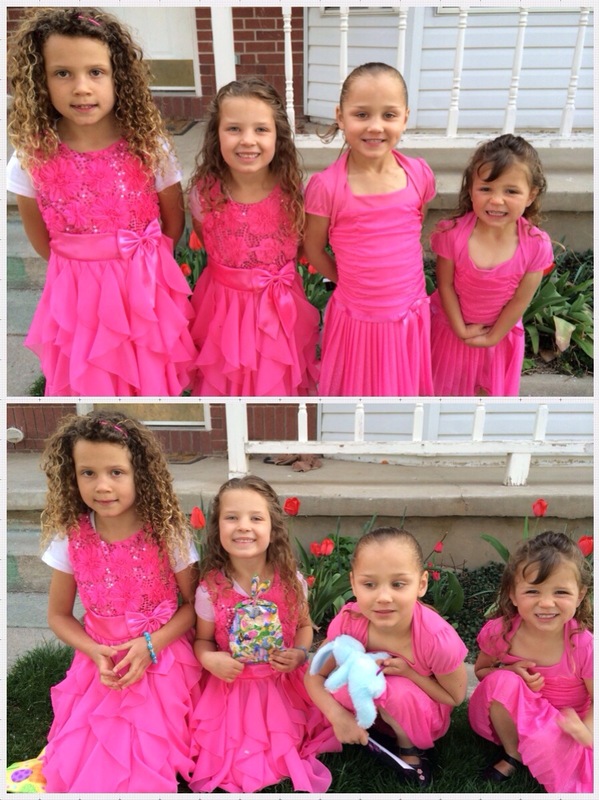 We, of course, had to take pictures of their Easter dresses. Corom left for a meeting by 7:30 and the girls and I later joined him at church (which started at 9). 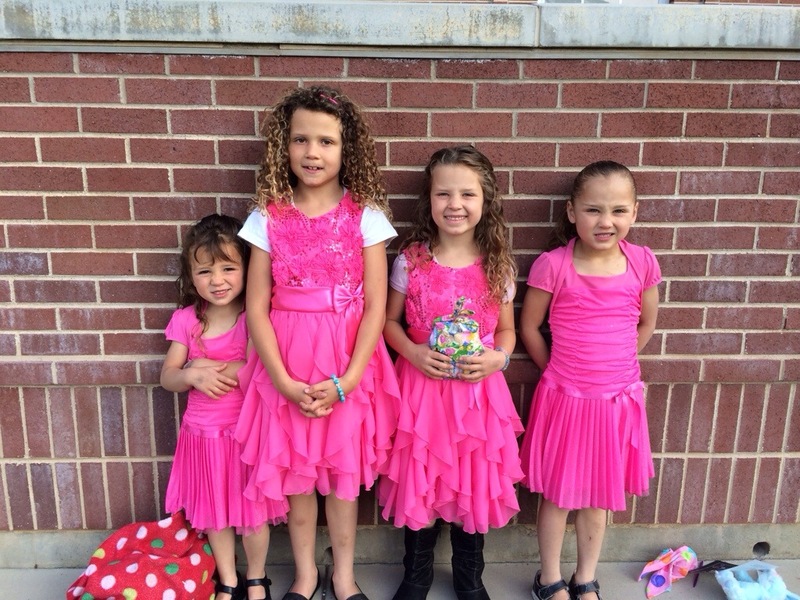 The girls sang in church today (along with another little girl-Malana). 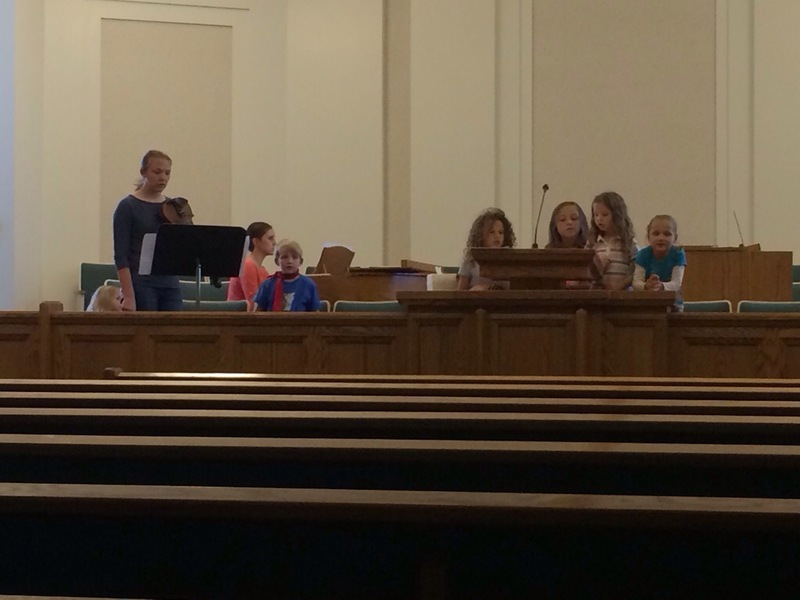 Amber D (my running partner ;)) played the piano and Suzy (one of the youth) played her violin. They did really well. 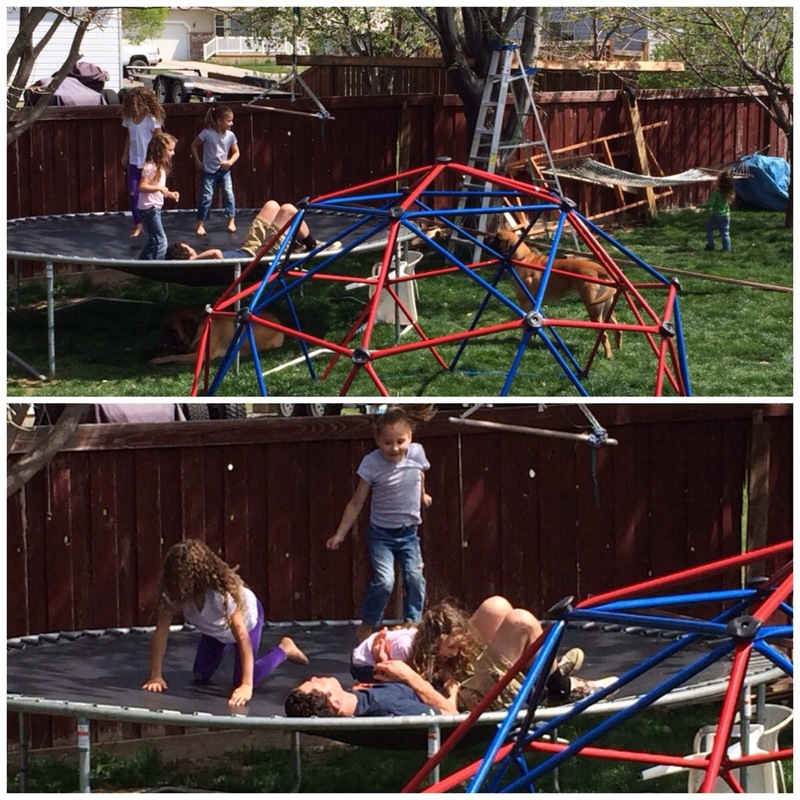 And then the girls saw dad (Corom) sleeping on the trampoline; they decided to wake him up. 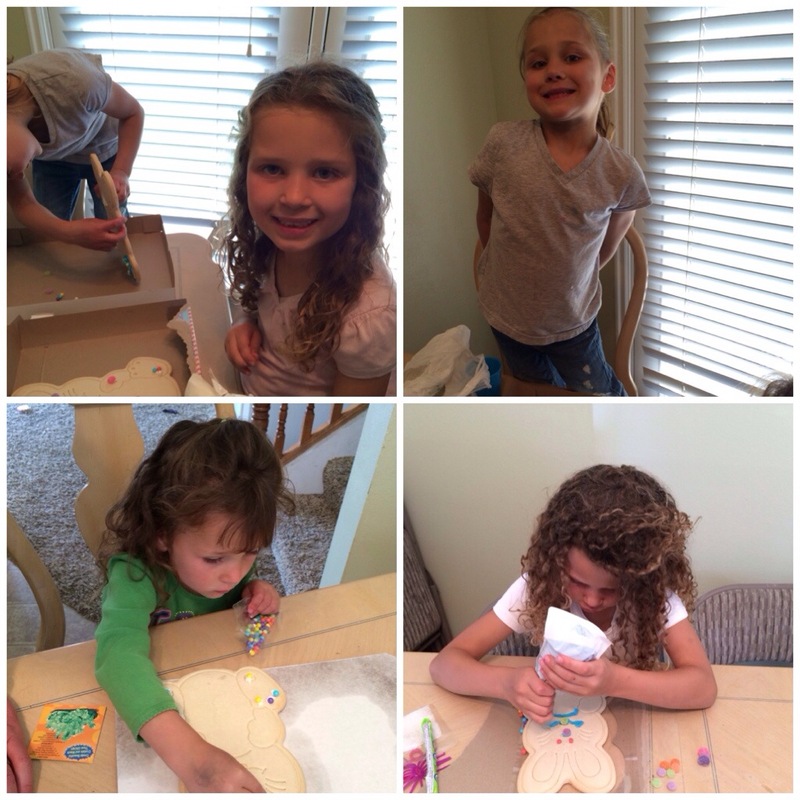 We put on a few little Easter clips today on our Savior for the girls to watch. We sat down together and discussed all what our Savior has done for us and how much He loves us! 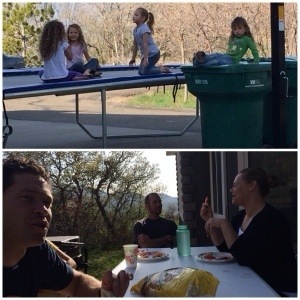 I am grateful for the gospel and for my family! And had a fun time visiting. 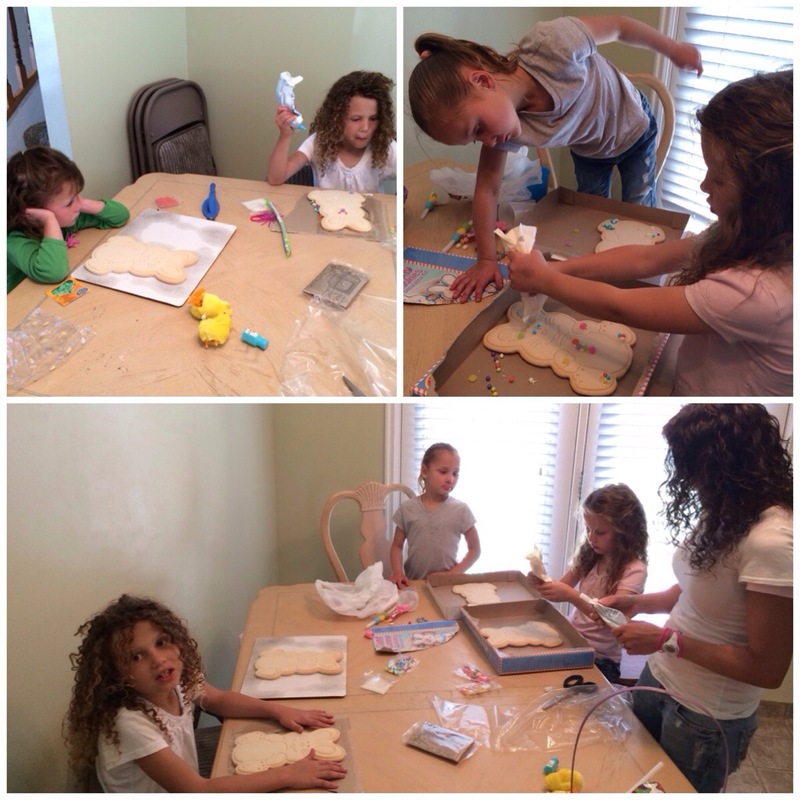 … But the girls were telling everyone (and laughing about it) how the Easter bunny tricked them. That is just too cute! I had a few boys tell me that they were going to stay up and make a trap so they could get the Easter bunny. Another boy heard this and was so upset. “Coach Sarah if they catch the Easter bunny other children around the world won’t get their treats.” I thought that was so sweet and I love how strongly they believe all of this. I enjoyed a tad of chocolate myself today. I love the Easter service more than any other all year. I have had a trying time emotionally lately and standing listing to the Hallelujah being sung I had tears in my eyes today. Special day. Love your girls. They are just too cute.